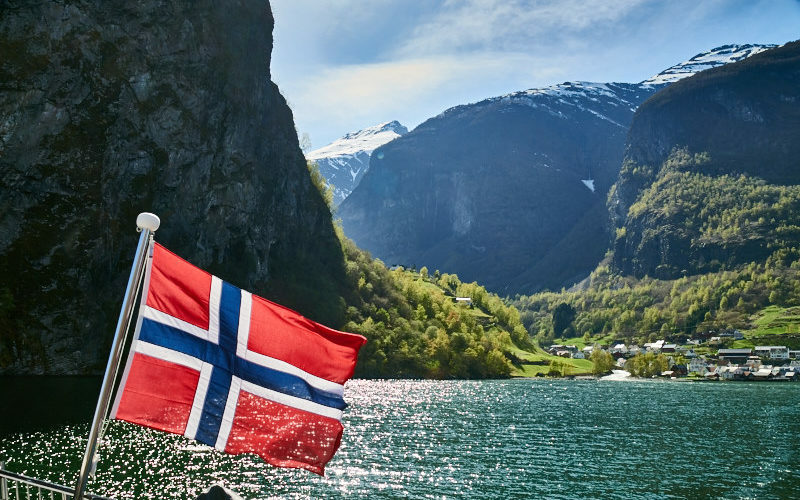 Norway has taken the audacious decision to ban all polluting ships from the UNESCO World Heritage fjords. The resolution will impact the cruise and ferry industry heavily, way beyond these fjords. Polluting ships? You might be thinking of a 50-year old veteran ferry. 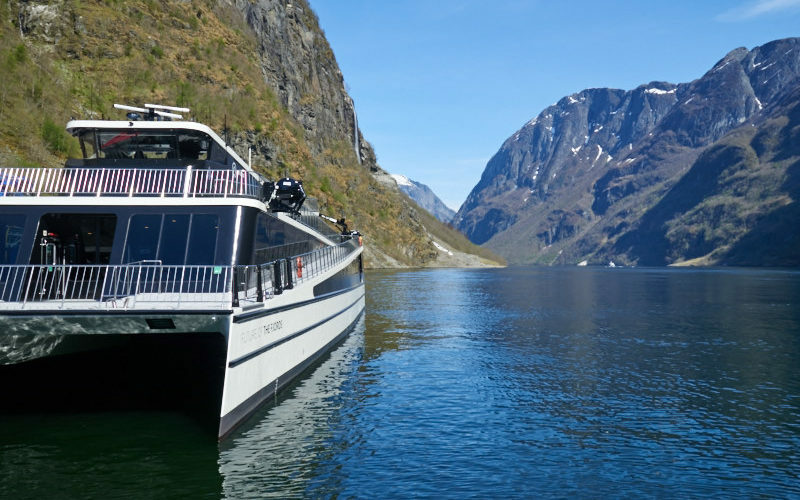 In fact even a modern LNG-powered ship will no longer be welcome in famous fjords as the Geirangerfjord or the Nærøyfjord. In the near future, these fjords will only be accessible for ships producing zero emissions. ZERO! When? Latest 2026, and if feasible before. 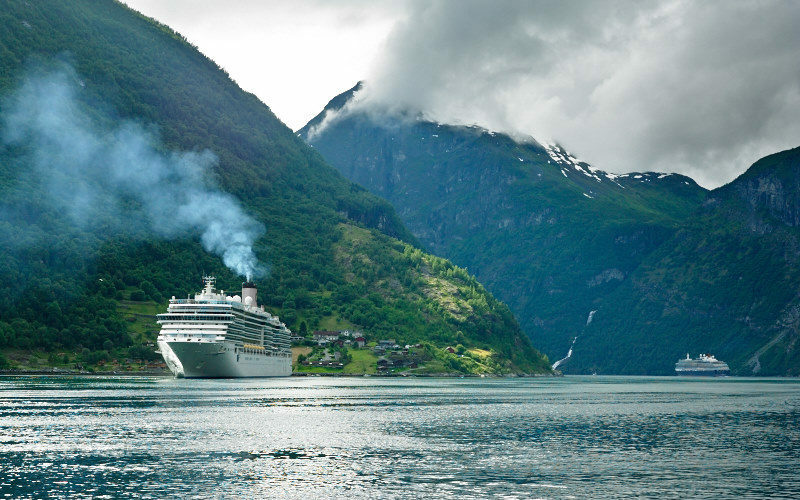 But let’s be honest, anyone who has been in Geiranger can only but agree: cruise ship smoke is an issue. The situation at the Nærøyfjord is different. Cruise ships don’t enter this small fjord. They’d rather call at Flåm, in the Aurlandsfjord, and have their guests booking an excursion with one of the tourist boats. A lot of these are old car ferries, now used for passengers only. 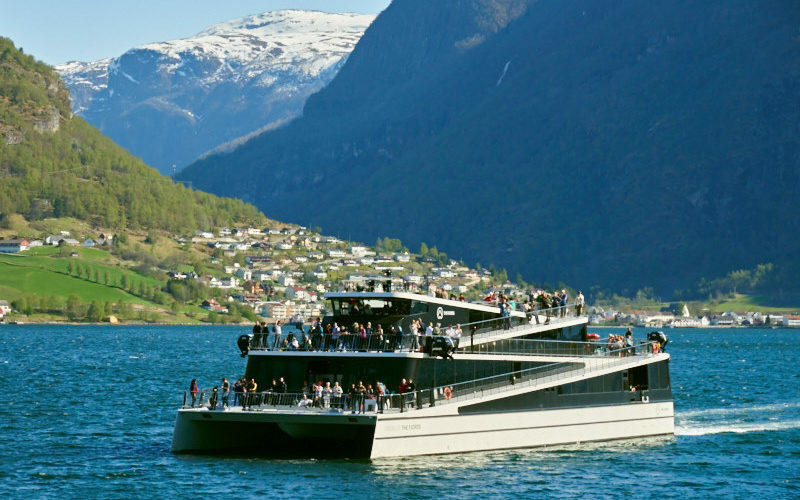 The year 2016 saw the introduction of VISION OF THE FJORDS, a hybrid tourist ferry built for the Flåm-Gudvangen route (Gudvangen is at the end of the Nærøyfjord). 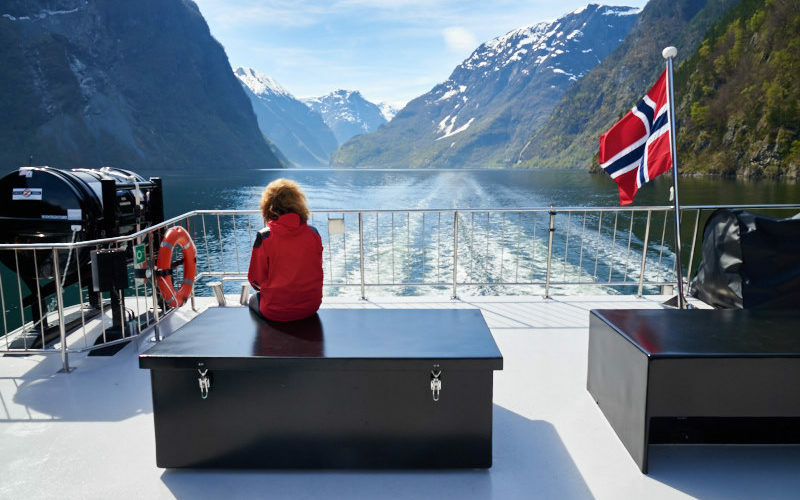 She was commissioned by The Fjords DA, a company co-owned by Norway’s largest ferry company Fjord1, and Flåm AS, which works to promote tourism opportunities. The carbon fibre ferry was designed and built by composite and fast ferry specialist Brøderne Aa. 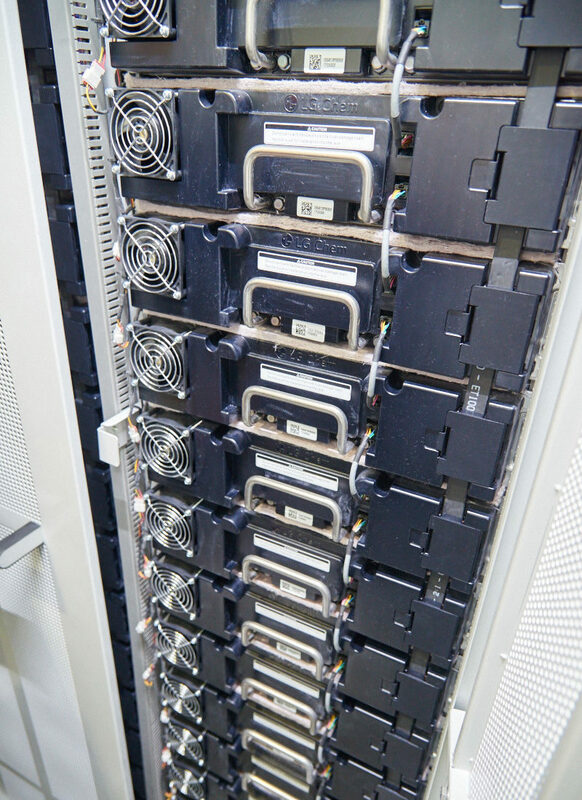 VISION OF THE FJORDS operates on batteries in the narrow Næerøyfjord, and on MDO in the wide Aurlandsfjord. In both ports she gets connected to the local grid for recharging. Important to mention is that the electricity comes from local hydro power plants. Now, two years later, the company has taken delivery of the next ship, the FUTURE OF THE FJORDS. She will start to operate on the same route, as from 15 May 2018. She is basically a sister vessel, with one main difference. And this difference proves how fast technology is changing. Indeed, FUTURE OF THE FJORDS is fully electric. Norway was the first country to have an all-electric car ferry. 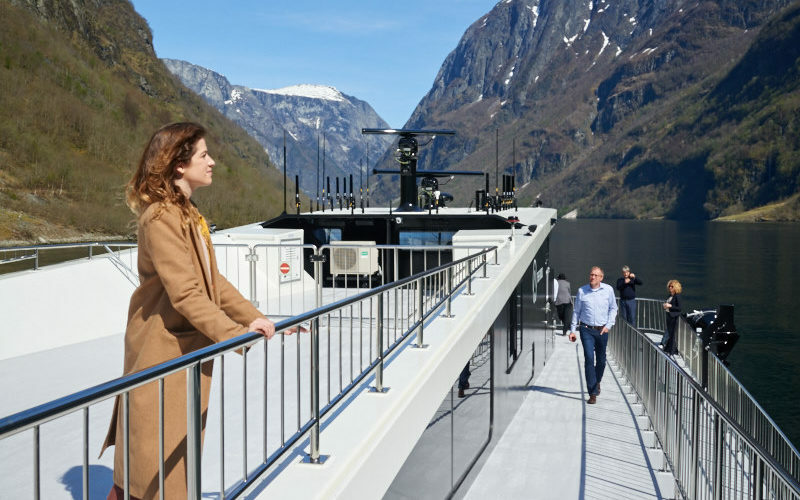 Norled introduced the AMPERE in the Sognefjord in 2015, and has more electric ferries on order. 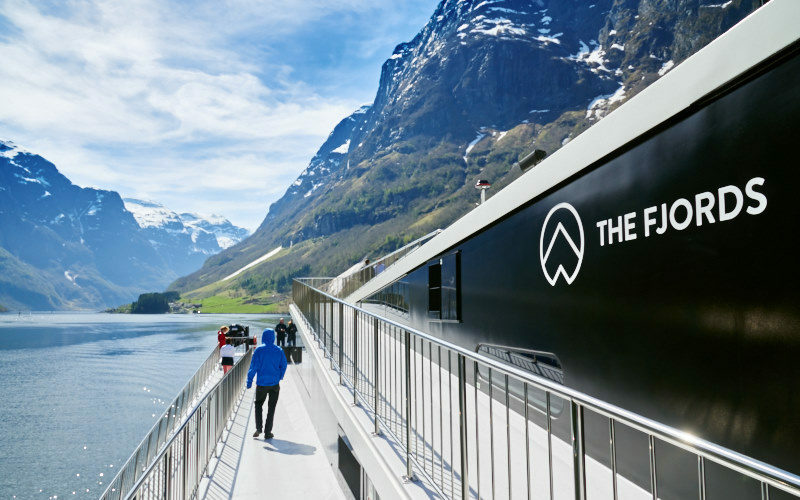 Fjord1 is the leading electric ferry operator, with 25 new battery ferries ordered in less than two years. “Three are already delivered, and 22 will be this year and next year,” says Arild Austrheim, head of projects and newbuildings, Fjord1. He adds that Norway has decided it is going to develop a uniform strategy for the roll-out of hydrogen as energy carrier. 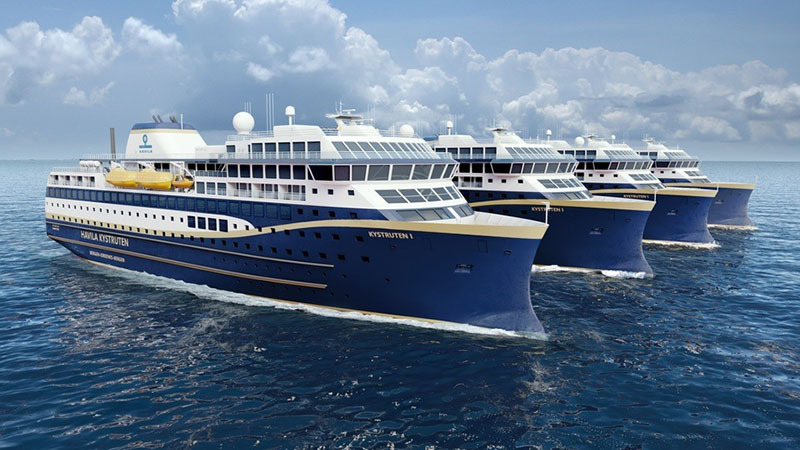 In the meanwhile Norway has split coastal service voyages starting in 2021 between the established Hurtigruten, which will continue to operate seven ships on the route, and newcomer, Havila, which plans to build four new ships. 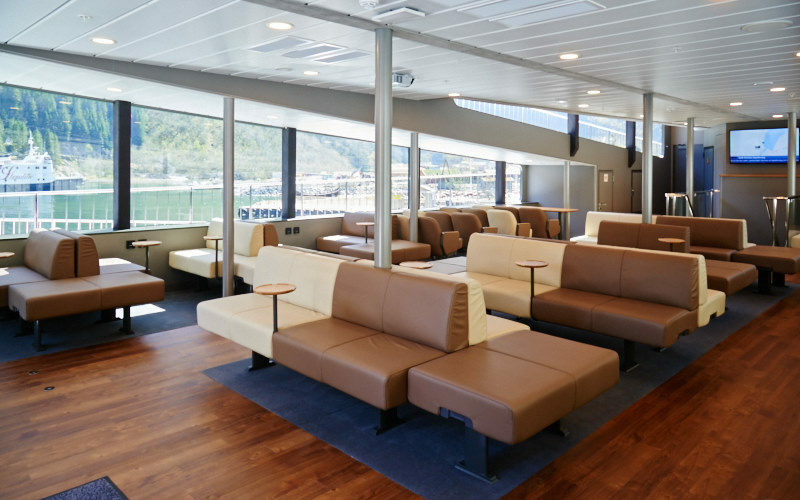 Hurtigruten has decided to convert the existing ships into hybrid vessels. It will be interesting to see which green solution Havila will come up with. Havilafjord AS is the majority owner of Fjord1, by the way. In cooperation with Brøderne Aa, a floating charging station was created (we didn’t see it, as it hadn’t arrived yet). The so-called Power Dock will be based in Gudvangen and housing a 2.4MWh battery pack, which will be charged steadily throughout the day. The innovative solution allows FUTURE OF THE FJORDS to ‘refill’ in just 20 minutes, in a stable, efficient and cost-effective way. The Power Dock also stores fuel for the sister vessel, and allows black water to be discharged for on-land treatment. 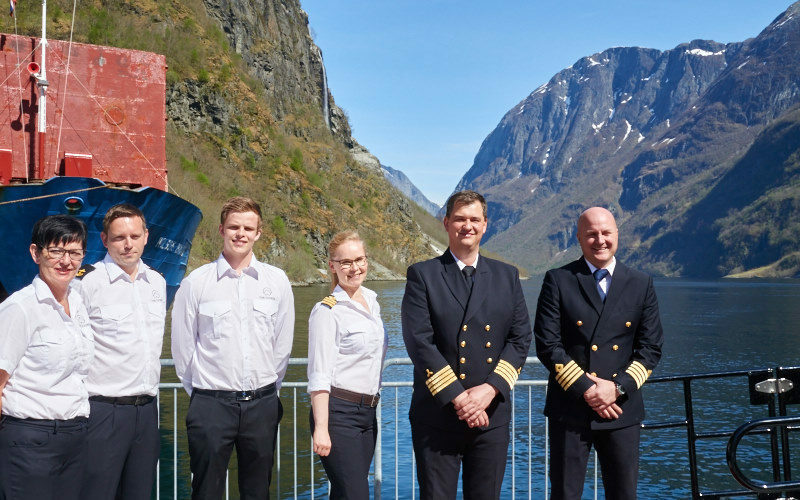 Norway’s legislation and financial support is quintessential for making the shipping industry greener. At this moment the Norwegian solution seems to be hybrid/electric. 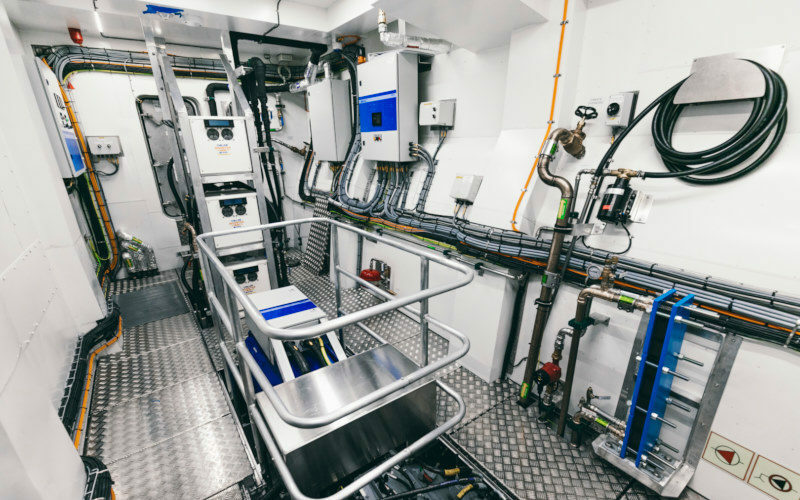 It is known that the Norwegian road administration will award subsidies to a hydrogen-powered ferry by the end of the year, if the price is not too high. Hydrogen fuel cells, is that the next step?